When Potential Customers Search, Is Your Business Found? 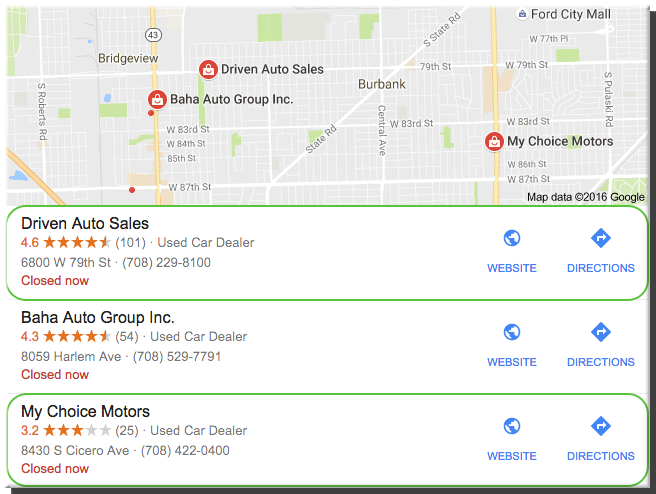 When someone searches for a local service, restaurant type or product, Google usually displays the ‘Map 3-Pack’ on page one of the search results. Three businesses get listed along with their reviews, phone numbers, business information, etc. Above the businesses is a map showing pinpoints for where each business is located. So… If a person searched ‘Plumbers in Elmhurst, IL’ or ‘Door Repair San Francisco, CA’ or ‘Italian Restaurants Chicago, IL’, wouldn’t you want your business listed in the 3-Pack? Every time we rank a new business in the 3-Pack or increase their ranking within it, we see a healthy increase in website traffic, phone calls and leads. The bottom line is it’s an excellent profit driver and your business needs to be there! Want To See Your Business Listing Accuracy? 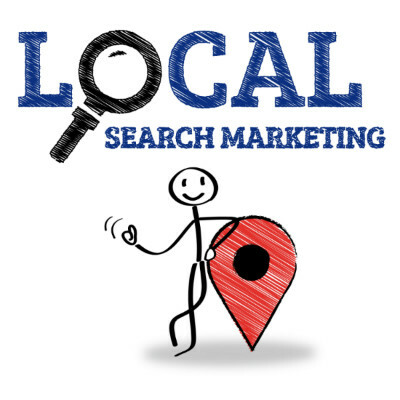 Our simple tool will analyze your local business listing for accuracy and reach. As an added bonus, you’ll also see your review score and how others have rated your business!